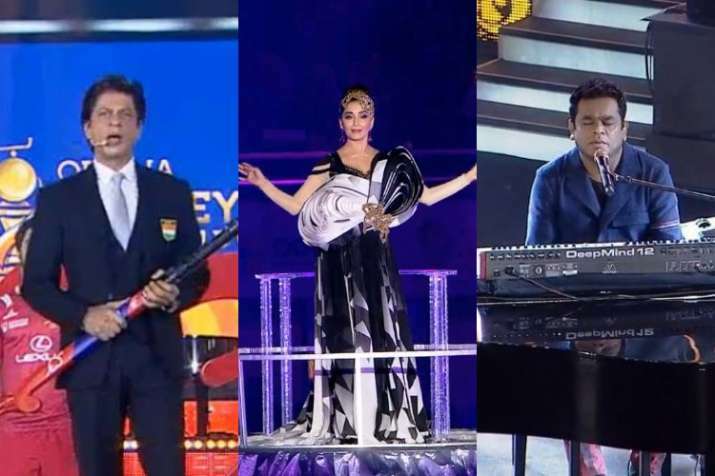 Neighbourhood News Desk/ Garima Kotroo: The megastars of Bollywood, Shahrukh Khan and Madhuri Dixit entertained the crowd at the opening ceremony of 14th Men’s Hockey World Cup in Bhubaneswar. Not only this, the world cup stage was dazzled up with the mesmerizing voice of Oscar-winning music composer AR Rahman. The three hours long ceremony showcased first-of-its-kind theatrical production – The Earth Song, which beautifully depicted the theme of ceremony.